I forgot what I like on Facebook. I have totally forgotten what I like. I mean, that shouldn’t be too difficult, should it? Don’t we even know what we like? I know I like good music, eating sushi, reading a good book, watching a documentary, the Boston Bruins, and the Portland Timbers football club. But, while that might be more clear in life, on Facebook, it’s not that simple. Recently, I thought I would do what I rarely do and that’s review what I actually like on Facebook. On Facebook, sometimes it is way too easy to come down with a case of the “like-happy” virus. I mean, I don’t know how it spreads, it’s just that sometimes you get into the zone and decide to like everything in sight. Sadly, the page with all the likes ends up with a ton of likes and the person with all the likes ends up with a ton of… “Why did I like them again?” questions. If there ever was a match made in heaven.. here it NOT is. In my case, the result was that I had racked up 860 likes! What… I thought there was only a 500 limit? It was an amazing experience for me as I scrolled down the list to find out what I actually liked. Had I awakened from amnesia or something? At first, everything seemed so new, but… my question then became… when did I ever like this or that? Or, how come I never liked that? When it came time to unlike some of these pages, that got tough. First, there are all the pages your friends have started. To show your support, of course, you don’t want to unlike them. How would you sleep at night knowing you unliked a friend’s page? And, would they unfriend you as a result? Secondly, then came the pages with emotional appeal. In this category, we found sports teams, products, stores, organizations, authors, bands, movies, etc. Man, this is like cleaning out the closet. How does one not become “emotionally” tied to everything and therefore NOT becoming an FBPR? As cumbersome as this was, I am glad I did it. This whole process has made me more aware and therefore more selective going forward as to what I like and unlike. Otherwise, it is way too overwhelming. And then… what’s the point of liking a page in the first place? I want to like things that I truly like. I want to like things that I care to find out more about, can connect with others who like it to, and can add to the dialogue. How on earth can I do that when I like everything? It also challenges me as a page administrator to many pages. How best I can cultivate a page experience in a way that fully engages the the page followers in a way that is unforgettable while not blending into the ever growing rolodex of Facebook pages on ones profile? If you can provide such an experience, then maybe just maybe, I won’t forget next time as to what I actually like. 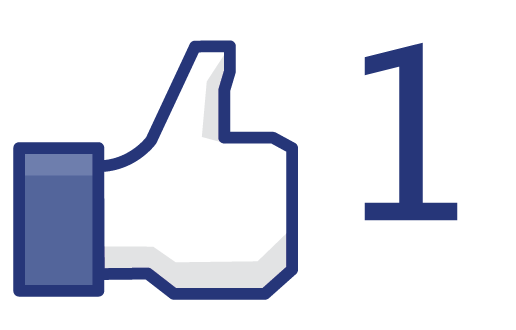 experiencefacebookfan pagesi like !like pages on facebooksocial mediasocial networkingwhat do you like? Previous Previous post: Hey coach, why not watch film on your performance?